Apply-esta.info provides professional assistance and consulting services to international travelers looking to visit the United States of America under the Visa Waiver Program (VWP). The Visa Waiver Program allows nationals of 36 participating countries to travel to the United States for tourism or business (visitor [B] visa purposes only) for stays of 90 days or less without obtaining a visa. Once approved, the Travel Authorization will last for 2 years or until your current passport expires. If you have read the provisions with respect to the use of ESTA application on our website in advance, and that you have agreed, then please fill out the necessary information on the application form. We will start acting for registering to CBP database in the U.S.A. if there is no deficiency with your application documents. Specialized staffs will process it in one day at the earliest. 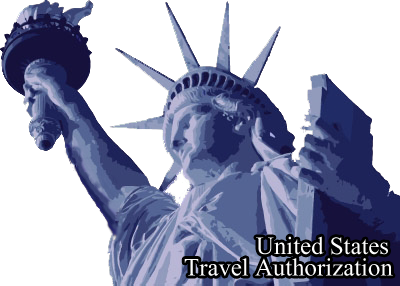 If the ESTA(electronic travel authorization) application is accepted from the U.S. CBP, then there is possibility to travel to U.S.A. The results will be sent to you via e-mail. You can visit the U.S.A. without the presentation of the travel permit if the permit state travel. We recommend in keeping ahead of the travel application number just in case. Who is eligible to apply for ESTA? 3.Intend to enter the United States for 90 days or less for business, pleasure or transit. ESTA application should apply for their U.S. travel authorizations at least 72 hours prior to traveling to the United States. apply with confidence today. The U.S. government has implemented a mandatory application system which pre-screens visa waiver travelers. Electronic System for Travel Authorization (ESTA) applications must be submitted online. Approved ESTA applications are required for all visa waiver travelers entering the United States after January 12, 2009. Electronic System for Travel Authorization (ESTA) is a program utilized by the United States Department of Homeland Security and the Customs and Border Protection to determine eligibility for visitors traveling to the US under the VWP.ESTA was implemented in 2007 as part of an International travelers who are citizens or nationals of VWP (Visa Waiver Program) countries may apply to obtain an advanced ESTA Travel Authorization prior to entering the United States. This Website will support all procedure of the ESTA application. 1.We will take care your flexible ESTA application as your agent only for US$74. 2.We accept your application 24/365. 3.You will be notified the application result by mail. 4.Especially for whom travel for the first time, we will be more than happy to provide answer toyour question you might concern via email for free. Our processing fee includes the mandatory government fee. It also includes all the benefits that comes with using our fast and reliable service.